Harder than shopping for an acquaintance you just met or a coworker you want to thank, harder than shopping on a budget--just HARD! He isn't one for frivolous gifts, and he abhors anything low quality, believing in the old adage "cheap now, expensive later." And I get that. I just can't help agonizing over the holiday, anniversary, and birthday gifts I inevitably plan for every year, because, for one thing, he's a man who wants for nothing. For another, he prefers practical gifts over flashy ones. A different pair of brown oxford shoes sounds like a good idea at first (it's what he wears; it's his style; why not? ), but he wonders why he needs another set to begin with. I would never have that problem, by the way. The more shoes, the merrier! And tech gifts? His phone is cracked for the third time in 2017, and he refuses to buy a phone case because they're too bulky. He doesn't care for Apple watches or iPads, and as far as he's concerned, his old Macbook that you have to carefully maneuver around lest the screen goes blank and shuts down is functioning just fine for him. Okay, I'll quit my griping. The thing I love about my husband--Ram--is that he really loves and appreciates thoughtful gifts. Now, that might make it even more difficult if you've got a guy like mine. It's hard to express gratitude, appreciation, or love in a gift. But if you can manage it, considerate gifts go a long way. Think poems, handmade items like scarves, hats, or gloves (very practical in the winter), photo albums (Freeprints by Photoaffections and Canvasworld are my go sites for photo gifts), etc. If this doesn't say quality and practicality, I don't know what does. Coach occasionally has a sale going on, so you don't have to splurge on something like this in particular. In fact, I drove to the nearest Coach outlet and got a gorgeous bag for 70% off! Nice Coach bag for under $200? Yes, please! A well received gift. He wore it his first day back to work after the holidays. 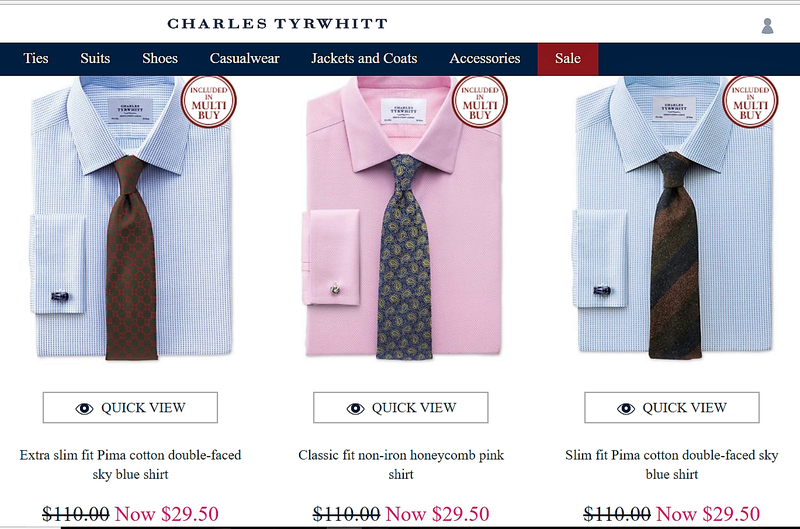 Charles Tyrwhitt, a British clothing retailer, is Ram's favorite brand for work shirts. He loves the style, fit, and long lasting quality of their shirts. But they offer so much more than work shirts. On their site, you can find casual wear, ties, suits, shoes, coats, and myriad accessories. 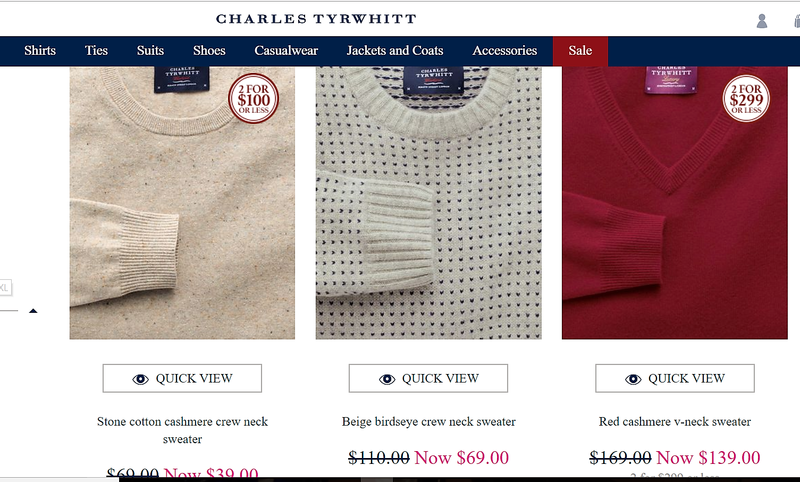 I like to scope the clearance section for some major deals on a great brand. 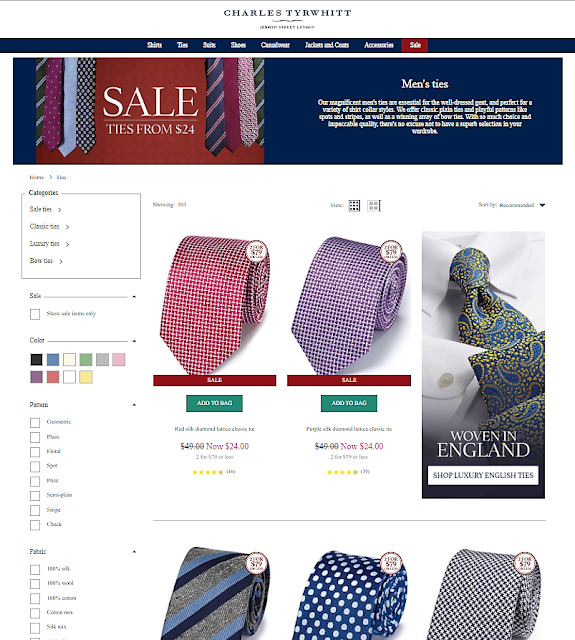 Check their site now for 10% off your order. Helpful tip: If you're shopping CT for a gift you need for a specific event or date, order early, because it ships internationally and make take awhile to arrive. Or visit one of the shops in Manhattan, NYC. Can't go wrong with cotton cashmere sweater. Ram isn't a big reader, so if you think a book recommendation won't work for your guy, think again. 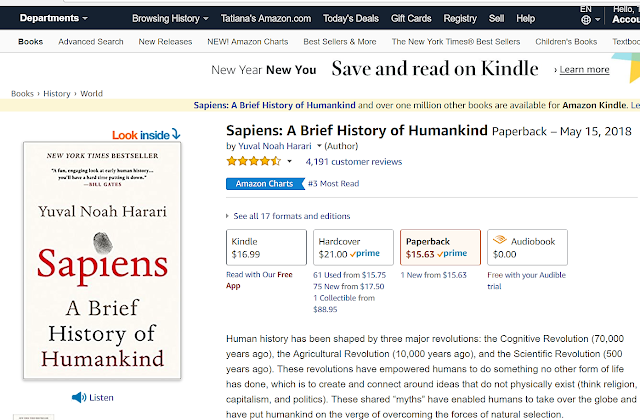 I ordered Homo Deus as one of his birthday gifts, and he was ecstatic to delve into Harari's follow up of Sapiens. Bonus: Just think how clever you'll look with this in your library or on your shelves. Remember those thoughtful gifts I mentioned. 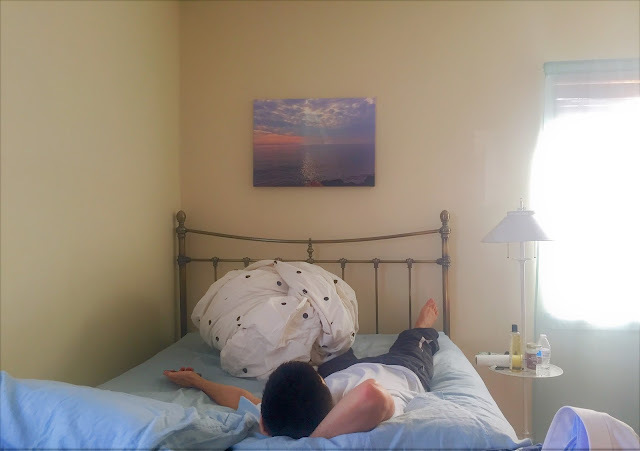 The coolest anniversary gift I got my husband was this canvas print of a photo he took of the water at a Brooklyn beach we walked along on our first date. He prides himself on having a photographer's eye, so this gift isn't just sentimental, but a homage to his photography skills. CanvasWorld always has promotions and may offer free shipping as well. Mr. Picky admiring his work. Still can't think of ANYTHING your guy would like? Well, what does he likes to do? Is he a thrill chaser? Does he like taking care of himself? Is he a beer and burger type of guy? Is he just up for anything? Depending the season, have you tried Water Skiing? Every guy loves this. I swear, I don't know what it is, but they do. I mentioned in my last post that I live in Jersey City. Sea the City's Manhattan Jet Ski Tour is local and so much fun. You can sign up for an hour and only pay $139 for one jet ski and $39 for an additional rider. They even take pictures for you in front of some awesome architectural landmarks like the Statue of Liberty. But if water skiing isn't your thing, try Table Tennis/ Ping Pong at Spin NYC. Reserve a table for an hour at $79 (though walk-ins are less), and hash it out on the table, while enjoying a drink, yummy sliders, flatbread pizzas, and other shareables. It's so fun, you'll want to book another hour. You can even book a party for a private event, if you want to invite friends and family along. Another suggestion is to give him an experience he's never had. Ram, for example, had lived in NYC for years and had never seen a Broadway play, so that's what we did for his birthday this year! Obviously, pick something your guy has interest in. Ram lived in St. Petersburg for awhile but had never heard about the story of Anastasia, so that's what we saw. He was surprised and excited to try something new. It also gave us an excuse to dress up a bit. Even though it was freezing, we had a great time and were back home in time to Netflix and chill. Mr. Picky isn't comfortable posting his pics on the internet, so here I am posing in the 20 degree weather in front of an Anastasia poster. ...Which brings me to my last suggestion. Sometimes, a guy just wants a nice cooked meal and chill time at home with you. As high maintenance as he may seem, my husband's a really chill guy, and he'd never be unhappy spending a holiday or birthday at home.